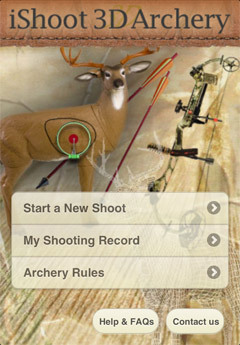 The purpose of the iShoot 3D Archery Application is to provide archers the ability to use their iPhone, iPad, iPod Touch or Android devices to collect and store their score during a 3D archery tournament. 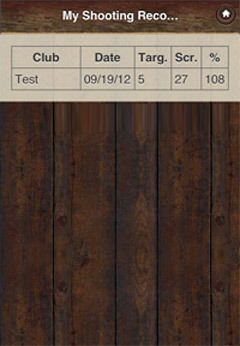 Today a clip board, printed scorecard, and pencil are required to collect the score. 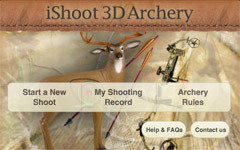 With iShoot 3D Archery, the user predefines scoring and will then use radio buttons to collect scores. 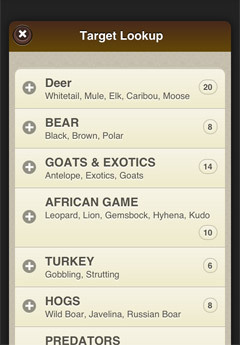 At the end of the shoot, your total score and percent of total will be automatically calculated. The predefinition of scores by the user is critical because there are several types of scoring that can be used for a particular tournament. Scoring is generally at the discretion of the archery club and/or the tournament sanctioning body. 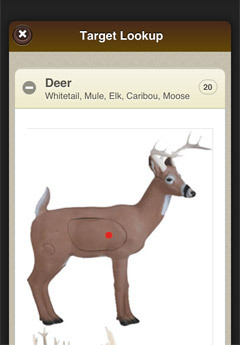 More than 100 photos of 3D targets and the reference scoring ring within the app. This is a feature that will be highly useful as you cannot see from a distance exactly where the scoring rings are on a target. Keeping track of your archery tournaments and scores for further data analysis. Having two of the more significant tournament sanctioning body rules at your fingertips during a tournament for reference. 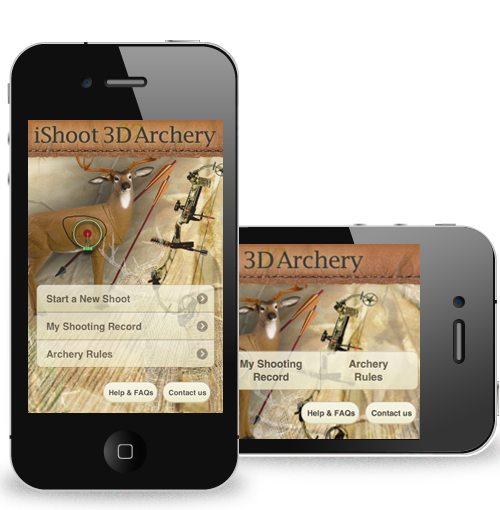 Our development team is committed to 3D archery and will do its best to keep the app up-to-date and as user-friendly as possible. When is the Bonus Score used? 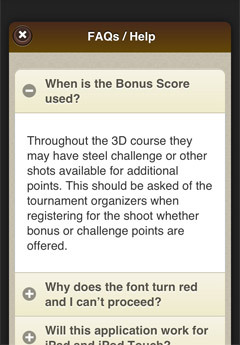 Throughout the 3D course they may have steel challenge or other shots available for additional points. This should be asked of the tournament organizers when registering for the shoot whether bonus or challenge points are offered. Why does the font turn red and I can’t proceed? This means there is missing data or a data entry error. 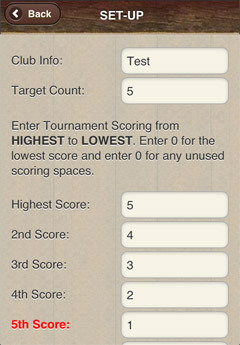 When setting up the scoring, make sure that no duplicate scores exist and the order is from highest to lowest except for the optional bonus score. 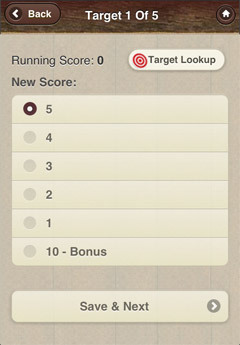 The optional bonus score can be any number and if not used must be set at zero. For other areas in the application, make sure data is entered in the appropriate fields and that a score is chosen before trying to go to the next target. The only way to remove historic records on Apple devices is to uninstall the app and reinstall it. Android systems allow deleting application data. What are the red dots on the 3D targets? These are reference locations for the scoring rings. The photos are used to get you orientated for the IBO and ASA scoring rules. All scoring rings are for reference only and only give you a starting point to aim. Copyright © 2013 iShoot3DArchery.com. All rights reserved.